Matthew Mahaffey joined the Iowa Saxophonists’ Workshop at the University of Iowa in 2013. He has performed on three continents including Europe and Asia, premiering works by Ida Gotkovsky, Robert Lemay, and Jean Matitia. Matthew received his Masters in Music from Stephen F. Austin State University as a student of Dr. Nathan Nabb where he was named Woodwind Recitalist of the Year (2013) and featured at the annual music department’s “Extravaganza”. 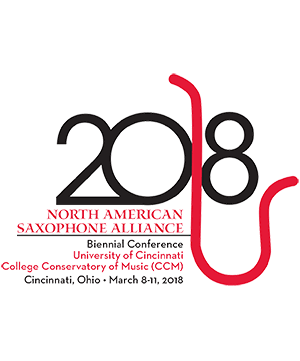 A member of the Echo Rogue Trio/Quartet, he participated in the world premiere of Robert Lemay’s “Concetto Spaziale” at the World Saxophone Congress in St. Andrews, Scotland (2012). Echo Rogue performed works by Camille Kerger and Mikel Kuehn at the WSC in Strasbourg, France (2015). Matthew received his Bachelor’s at Southern Arkansas University as a student of Dr. Jeffrey Vickers where he participated in numerous competitions, conferences, and masterclasses. He is currently completing his DMA as a student of Dr. Kenneth Tse.